Taken at Starved Rock State Park in Oglesby Illinois. The overwhelming geographical feature of the midwest plains is: flat! 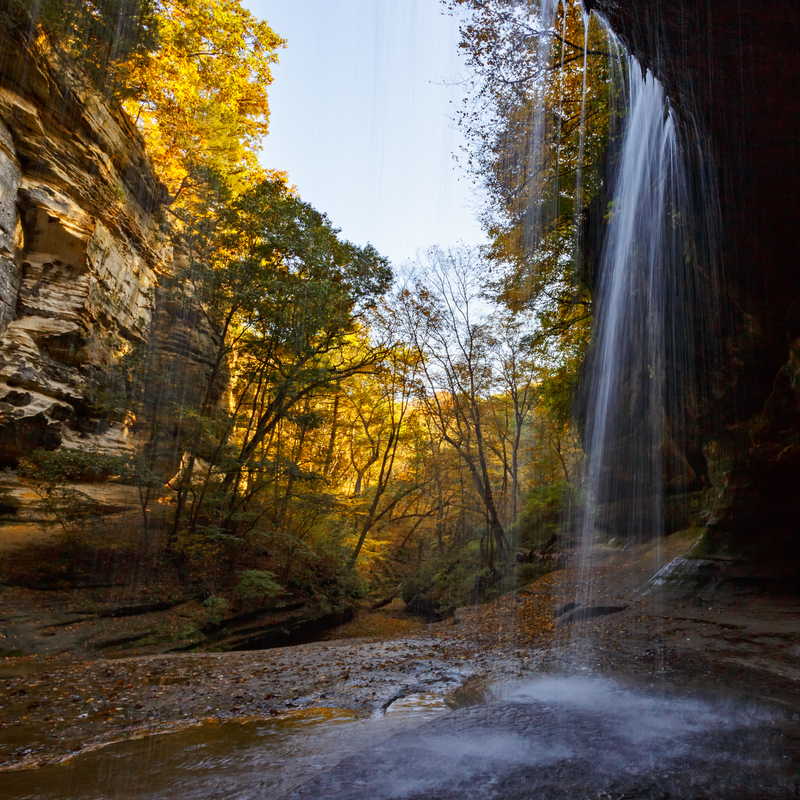 So, I never get tired of hiking the caverns, paths, and waterfalls of Starved Rock. Hope you can see it some day! Thank you! It was a beautiful fall day! Actually, I was sitting in the Batmobile, in the Batcave, looking out…. while sipping an espresso. I know! Serious stuff! No place for a joker here. Beautiful! I love your vantage point!